Wanting to speak to someone, both interesting and inspiring, about the Semantic Web and Innovation, Ora Lassila, an Advisory Board Member of the World Wide Web Consortium (W3C) as well as Senior Architect and Technology Strategist for Nokia‘s Location and Commerce Unit, was the obvious ‘go to guy’. 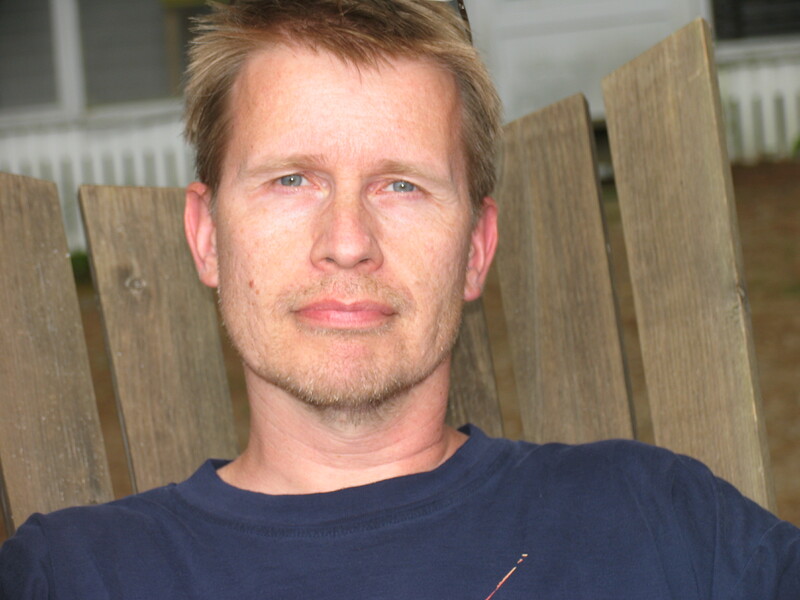 A large part of Ora’s career has been focussed on the Semantic Web as it applies to mobile and ubiquitous computing at the Nokia Research Center (NRC), where he, among many things, authored ‘Wilbur’, the NRC’s Semantic Web toolkit. As impressive as that is, as I did my research, finding out more about Ora, the more fascinating he, and his career, became to me. 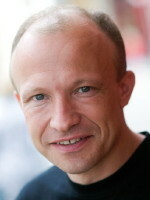 Ora is one of the originators of the Semantic Web, having been working within the domain since 1996. He is the co-author (with Tim Berners-Lee and James Hendler) of the, to date, most cited paper in the field, ‘The Semantic Web’. Ora even worked on the knowledge representation system ‘SCAM’, which, in 1999, flew on a NASA Deep Space 1 probe. Leading up to our attendance and presentation at the Berlin Semantic Tech and Business Conference, Michael– the true ‘tech head’ of KimmiC – and I were extremely pleased that Ora, ‘the Mac Daddy’ of the Semantic Web, gave us so much of his time. I hope you find our conversation with him as interesting as we did! Lets start out by talking about Innovation in general, and we’ll move on to the Semantic Web as we go along. As this is the Innovation Interview Series, the ‘baseline’ question is always: how do you define Innovation? Good question. I think many people do not make a clear distinction between ‘innovation’ and ‘invention’. To me, ‘innovation’ is something that not only includes some new idea or ideas, but also encompasses the deployment and adoption of such. You can invent clever new things, but if you don’t figure out how to get people to use those new things, you have fallen short of the mark. How essential has innovation been in your career to date; and how important do you envisage it being, going forward? It has been important. A big part of my professional career was spent in a corporate research lab, where inventing new things was less of a challenge than getting these inventions ‘transferred’ to those parts of the corporation that had more capability in promoting their adoption and deployment. That said, I have learned that ‘technology transfer’ is not always about taking concrete pieces of technology, software for example, and handing them over to someone else for productization. Sometimes the transfer is more ‘insidious’ and involves influencing how people in your organisation – or outside your organisation – think and see the world. I would claim that some of my early work on the Semantic Web absolutely fits this definition. So writing, publishing and talking all constitute viable means. Also, we should not forget that people need to be inspired. You cannot just tell them what to do, instead, they have to want to do it. What do you think are the main barriers to the success of innovation? I am not kidding when I say that the absolute biggest obstacle is communication. That is, we should learn to communicate our ideas better to be able to convince people and to inspire them. I have much to learn in this area. Who and what inspires you? Where do you look for inspiration? I have no good or definite answer for that. 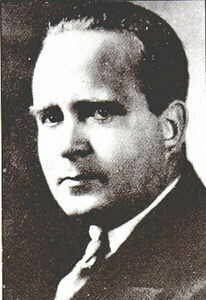 When I was younger I was really inspired by the Spanish aviation pioneer Juan de la Cierva whose simple yet radical idea about aircraft – the ‘autogiro’ – paved the way for the adoption of helicopters. And yet, one might argue that, in many ways helicopters are a far more complicated and complex technology than de la Cierva’s original invention. I am inspired by simplicity… I strive to create and design things that are simple, or at least not any more complicated than necessary. What are, in your view, the current emerging critical trends in Innovation and technology? I like openness, things like open-source software as well as Open Access and sharing of data as part of the scientific process. I am hoping we see a fundamental change in how research is done. In many ways we have progressed to a point where many problems are so complex that they are beyond a single researcher’s or research group’s capacity and capability to tackle. Also, on the topic of openness, I like some of the recent developments in open government, e-Government, and such. And what are some of the coolest mobile technologies you’re seeing launched? I am much enamoured with the idea that mobile technologies – particularly via the use of GPS, etc. – ‘ground’ many services to the physical world. There are many uses for location information, uses that help me in my everyday life. Furthermore, by making the mobile device better understand the current ‘context’, not only geographically but also by making use of other observations about the physical world (movement, sound, etc. ), we can make applications and services better for users. Do you think we will have a ‘meshed up’ world that effectively bypasses the stranglehold telcos have on infrastructure? I don’t necessarily agree that the telcos have a ‘stranglehold’. They provide an important service and a critical investment in an infrastructure I don’t really see us living without. But we need things like ‘net neutrality’ to make sure that this infrastructure really serves people in an open and non-discriminatory way. in this regard I am also concerned about more recent legislative attempts [SOPA, PIPA, ACTA] that (perhaps unintentionally) will hurt the overall technical function of the Internet. It seems that current Web based business models are founded on the idea that businesses have the right to record everything about users/consumers and profit from this information. Do you think this is a sustainable business model, or do you think the user/consumer will start to think that they, and their data, is worth something and begin to demand recompense of some sort? There are very few fundamentally different, viable, business models on the Web, so I can see that businesses would want to cash in on user data. It is only a matter of time before the consumers ‘wise up’ and understand the value of their own data. Personally I think we should aim at ‘business arrangements’ where all parties benefit. This includes concrete benefits to the user, perhaps in a way where the user is a bona fide business partner rather than just someone we collect data about. It is important to understand that what’s at stake here is not only how some user data could be monetized, it is also about users’ privacy. Luckily I work for an organisation [Nokia] that takes consumer privacy very seriously. You’ve got a fascinating history, and seem to have gotten into the Semantic Web at the very beginning. The very, very beginning, yes. I think I can argue that I’ve been doing this longer than the term has actually existed. In ’96 I went to work at MIT… I’d just been hired by Nokia, and they wanted to send somebody to MIT as a kind of visiting faculty member. 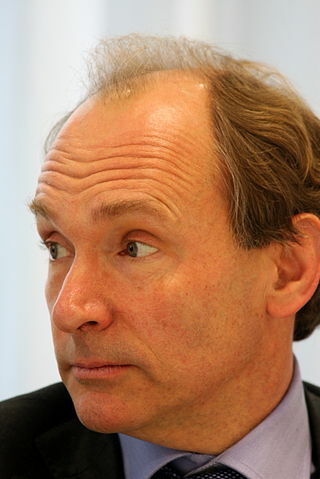 So, I worked in Tim Berners-Lee’s team, and one day he asked me what I thought was wrong with the web. Yeah, not intimidating at all. And I went: “Well, how about we try knowledge representation and apply that to web technologies.” Because knowledge representation is a branch of artificial intelligence that has a long history of taking information and representing it in such a way that you can reason about it then draw conclusions from it… things like that. We agreed that I would look into that, and that’s really how I got into all this. Of course I had worked on various projects before that, that involved ontologies and knowledge representation, it just wasn’t done on the web. The big reason being that the web had not really been invented yet. Cyc is a very good example of an attempt to build a very large ontology that would encompass common sense knowledge. 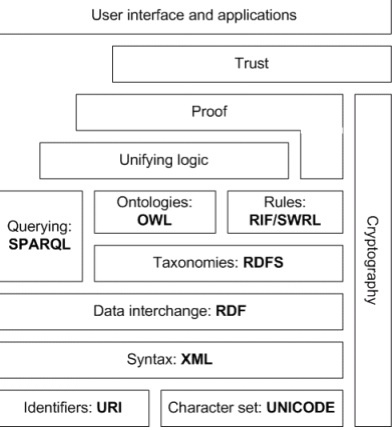 But there are many examples of systems that used ontologies in one way or another for narrower domains. Cyc was an overly ambitious project, in the sense that they really wanted to cover a lot of ground in terms of human knowledge. I had worked on several projects in the past that applied ontologies to things like planning industrial production, or planning logistics. So, the question really was, could you build a model of the world that was rich enough and precise enough that a system could use that knowledge to create plans for various things. In my case those were plans for either how to run industrial production, or large fleets of logistics’ resources. You were a long, long way in front of everybody else… at least ten years. It’s incredible! One might argue too far ahead. I think at that time most people were just trying to come to grips with basic HTTP and web servers. If you look at the vested interests, especially of software providers at that time… I guess it wasn’t really the right timing. But I think that time is coming now. Yeah, I think we’re in a better position now and we’ve certainly seen a lot of adoption of Semantic Web technologies in the last few years. I think elements of semantic are brilliant. RDF, for example, is one of the smartest ways I’ve ever seen of describing something. You can’t break the way semantics talks about something, whereas you can break the interpretation easily in XML. I start to lose traction with it when it gets towards ontologies. Do you think that ‘splitting the message’ would help with adoption? For instance, you can use ontologies, but there is also a part of semantics which is brilliant for just doing ‘business as usual’? I think there is a fairly broad spectrum of possible ways of making use of this technology. I’m sure you’ve seen diagrams of the so called layer cake, with the different technologies layered on top of one another. I think that it’s up to you to decide how far up that layered structure you want to go. There are a lot of applications where very simple use of just some of the most basic technologies will give you a lot of benefit. And then there are other problems where you may actually want to separate a lot of the understanding of your domain from your actual executing code… for those kinds of things, encapsulating that knowledge in the form of a potentially very complex ontology may be a good way to go. Absolutely. The interesting thing to say about the current enterprise software providers, I think, is that they have one model of the way to look at the world. There are cases where companies have had to change the way they do business in order to adopt the enterprise software [currently available]. You have two choices: you either do it their way or else you spend a few million bucks and you do it their way anyhow. I think that there is a possibility, with these Semantic Web technologies, of getting into more flexible uses of information and I kind of like that idea. Over the last few years I’ve become increasingly interested in our ability to share information. When you start talking about sharing it becomes really dangerous to have very complex, strictly defined semantics. Because, like you said, other people might have a different interpretation of things. But you want to nail some things down. Understanding something about [the] information would give you a baseline for interoperating. And then, you could do ‘better’ interoperation if you had a better definition of the meaning of the information. I agree with you about understanding information. But I think where most things fall to pieces – and this is also looking at business model languages and stuff – as soon as you get anywhere near processes with that information, it goes to hell pretty quickly. Exactly. I spent a few years, at the beginning of the previous decade, working on a large Semantic Web research program funded by DARPA [Defense Advanced Research Projects Agency]. I was part of an effort to see if we could use ontological technologies to model web services. Is that DAML and stuff like that? Absolutely. I think that’s the thing that still needs work. The traditional approach to anything process-oriented just doesn’t work unless you have very tight coupling and a very controlled domain. But I think there are a lot of different ways of trying to solve the same problem without having to get to that level. I think that one of the things that is missing from the whole Semantic Web collection of specifications is this notion of action… a notion of behaviour. It’s hard to model, but I think that we ought to work on that some more. We [KimmiC/FlatWorld] have taken a more hybrid approach, so we use things like REST architecture, and a lot of stuff from the business world, in terms of authentication and authorisation. Sure. I’m not in any way advocating the use of the WS_* collection of technologies. I’m not a big fan of those. I’ve looked at all the SOAP stuff and there are a lot of problems… like business process deployment. It is a nightmare to deploy these technologies. It’s even more of a nightmare to load balance them. Essentially, if you’re looking for dynamic relationships – be it in business or whatever – they’re just useless for that sort of thing. They’re always designed around having control of a large domain space; this is especially true when it comes to deployment of applications. I just think they’ve missed the point. I think the web is the best example of a redundant, massively-distributed application; and we need to look at it more as, “That’s the model,” and we have to work with it. Absolutely. I think that for 20 years there have been discussions about these sorts of ad hoc enterprises, or collections of smaller companies, being able to very quickly orchestrate themselves around a particular mission [purpose]. But I think that these technologies, just like you said, are probably not the right answer. When you wrote your 2009 position paper you noted that rather than languages, the biggest issues or problems facing the uptake of the Semantic Web were 1. Selling the idea; and 2. A decent user interface. Why did you feel that was the case then; and, has your opinion changed regarding these issues in the two+ years since you wrote your paper? Semantic Web technologies are well suited to situations where you cannot necessarily anticipate everything – say, about the conditions and context in which an application is used, or which kind of data an application might have available to it. It is like saying that this is a technology for problems we are yet to articulate. Sounds like a joke, but it isn’t, and the problem in ‘selling’ Semantic Web technologies is often about the fact that once a problem has been clearly articulated, there are many possible technologies that can be used to solve it. The issue I have with user interfaces and the user experience is the following: Semantic Web technologies – or more generally, ‘ontological’ technologies – give us a way to represent information in a very expressive manner… that is, we can have rich models and representations of the world. I feel that user interface technology has a hard time matching this expressiveness. This issue is related to what I said earlier about not being able to anticipate all future situations; writing software that can handle unanticipated situations is hard. All that said, I don’t like the term ‘Semantic Web applications’. Users shouldn’t have to care, or need to know, that Semantic Web technologies were used. These are just useful things in our toolbox when developing applications and services. What are the key challenges that have to be solved to bring those two problems together? I am really looking for new programming models and ways to add flexibility. This is not only a technical problem, we also need to change how people think about software and application development. I have no silver bullets here. How do you see applications developing in the next few years – compared to the current environment – as you have mention we have to shift our minds from an application that ‘owns and controls’ it’s own data rather than simply interacting with data? I think, again, this is about changing how people think about application development. And, more specifically, I would like to see a shift towards data that carries with it some definition of its semantics. This was one of the key ideas of the Semantic Web, that you could take some data, and if you did not understand it, there would be ‘clues’ in the data itself as to where to go to find what that data means. As I see it, the semantics of some piece of data either come from the relationship this data has with other data – including some declarative, ‘machine-interpretable’ definition of this data, for example, an ontology – or are ‘hard-wired’ in the software that processes the data. In my mind, the less we have the latter, and the more we have the former, the better. In previous interviews you’ve noted that you feel users should have a say “in how they view information.” Do you think that users should become involved in making the semantic web more ‘usable’? And if so, how? I think users should demand more. There needs to be a clear ‘market need’ for more flexible ways of interacting with information. 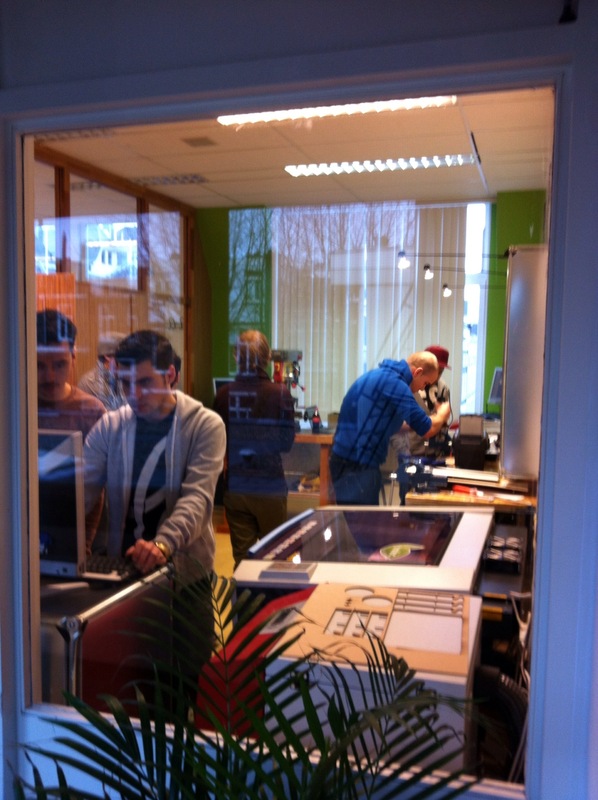 User experience is a challenge. There’s a lot of guys saying they can plug two systems together easily, but it almost always means at the data level. It doesn’t really work once you start applying context on top of it. I’d like to see a middle ground where we have partial interoperability between systems, because that’s how humans interact. That’s something we’re looking at as well. I view it like this: when I go through Europe, I can speak a little bit of German, a little bit of French. I’m not very good, but I have to have a minimal level of semantic understanding to get what I want: to get a beer. I don’t have to understand the language completely, just enough, in context, to act on it. Speaking of acting on things… Ora, where are you going with semantics in the future? That’s a good question. Right now I’m working on some problems of big data analytics. Nokia is investing in large-scale analytics, so I’m in the middle of that right now. I’m currently looking at how to tackle the problem of how to bootstrap behaviour. Behaviour and notions of action are not well-tackled in the space of the Semantic Web, and I’d really like to get into bringing two information systems in contact with one another, and have them figure out how to interoperate. Right. And I’m not entirely sure if people understand that that’s an important question to tackle. Oh, it’s an important question to tackle; it’s just more a question of… Again, you’re very far ahead of the game. Well, I think that today, if you want to make systems A and B interoperate, it’s usually a large engineering undertaking. So, it’s directly related to the question of separating information from applications… you could pick the applications you like and take the information that you’re interested in and make something happen. In terms of interoperating systems, right now we have a situation where we either have full interoperability, or we have nothing… we have no middle ground. You can learn more about Ora via his website, blog and Twitter feed.